Please join us for a conversation on the occasion of the US launch of Performing Image, a new book by critic Isobel Harbison, published by MIT Press. In Performing Image, Harbison examines the convergence of live performance and image in artists’ work since the 1960s. Against the backdrop of Shahryar Nashat’s exhibition, SI Curator Laura McLean-Ferris and Harbison will discuss some of the book’s key themes: from evolving image habits and exhibitionary tendencies, to the the current proliferation of artist’s performance in relation to the smartphone. Isobel Harbison, an art historian and critic, is Lecturer in Fine Art (Critical Studies) in the Department of Art, Goldsmiths, University of London. She regularly writes for a range of titles including Art Monthly, Frieze and Art Agenda. 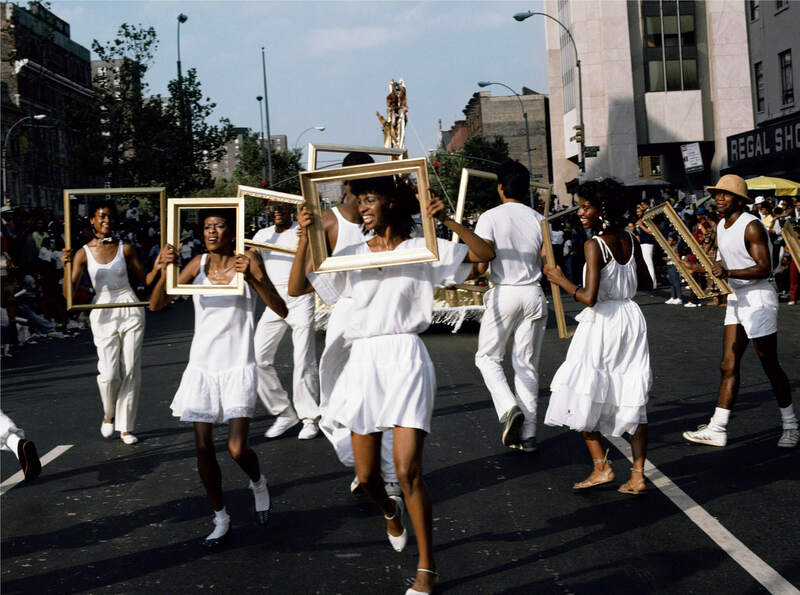 Image: Lorraine O’Grady, Art Is (Troupe Front), 1983/2009, Performance and C prints (1of 40). Courtesy Alexander Gray Associates, New York; © 2018 Lorraine O’Grady/Artists Rights Society (ARS), New York.